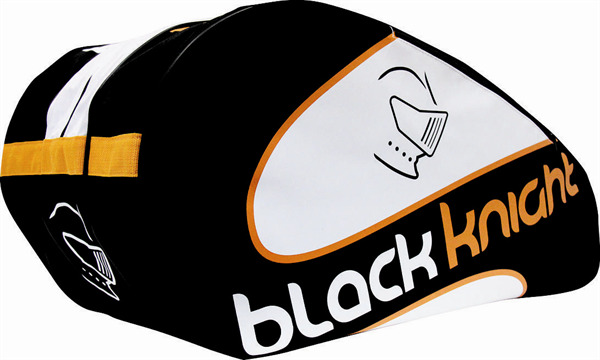 This racquet length bag has three zippered, racquet shaped sections suitable for squash or badminton racquets. The wide openings of the main sections allow for easy access to equipment. Additional pockets are built into the main sections, plus 2 wet-lined, vented pouches for shoes or wet clothing. Full backpack style shoulder straps with extra cushioning are included, and quick release clips. Perfect for people who are looking for a bag that can organize a lot of racquets and other gear, and who appreciate the hands-free ease of a comfortable backpack.